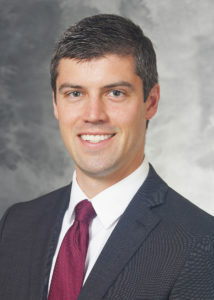 Eye Physicians & Surgeons welcomes Dr. Nathan Mathews to our practice! Dr. Mathews will begin fulltime practice at our Burlington office beginning August 15, 2019. Dr. Mathews will practice comprehensive ophthalmology including cataract surgery, glaucoma, laser procedures, and injections for macular degeneration and diabetic macular edema. Dr. Mathews received his Bachelor of Science degree in Neuroscience from the University of Michigan and his medical degree from the Medical College of Wisconsin. He completed his residency in Ophthalmology at the University of Wisconsin in Madison. Born in Madison and raised in Michigan, Dr. Mathews enjoys photography and backpacking. We welcome Dr. Mathews and Christina to the area!